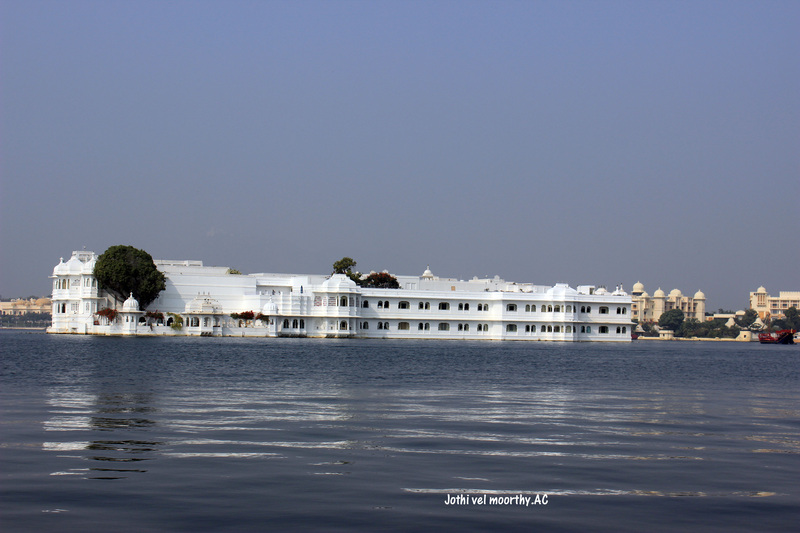 Dec 26: After a deadly sleep at hotel Sakthi palace, – a budget-hotel with spacious clean rooms and hot water running round the clock. Agenda of the day is to explore the lake city. 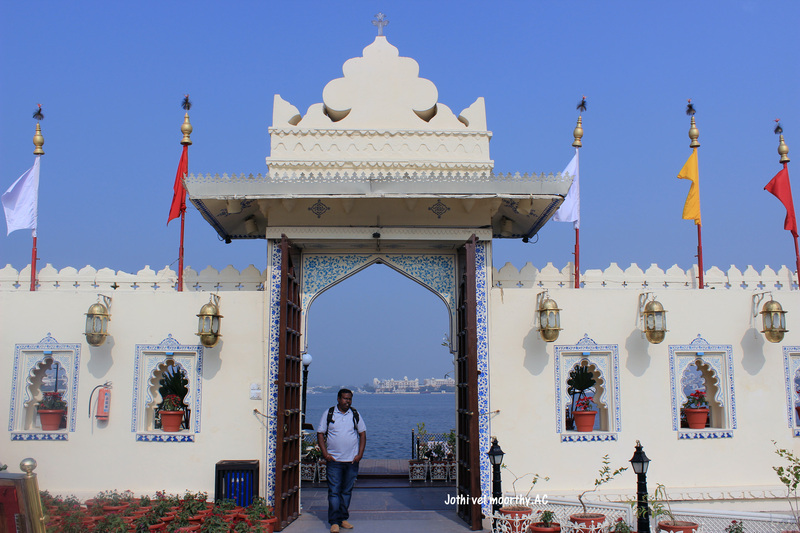 The marvelous city palace that stands on the east bank of Lake Pichola is a massive series of palaces built at different times from 1559 by the Mewar’s is considered the largest of its type in Rajasthan, a fusion of the Rajasthani and Mughal architectural styles, and was built on a hill top that gives a panoramic view of the city and its surrounding. Lunch break: As mentioned earlier, my fellow men has already mentioned in the trip itineraries to have lunch at hotel Natraj. 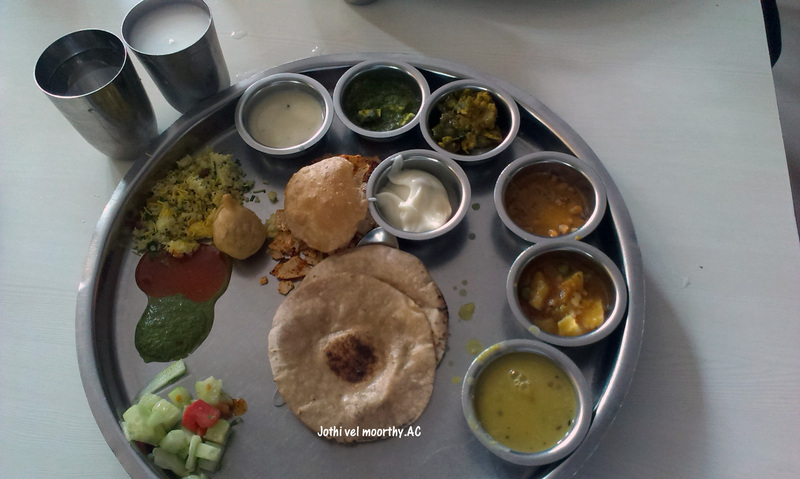 We had Rajasthani Thali for lunch which was quite heavy for us and quite enjoyable too! 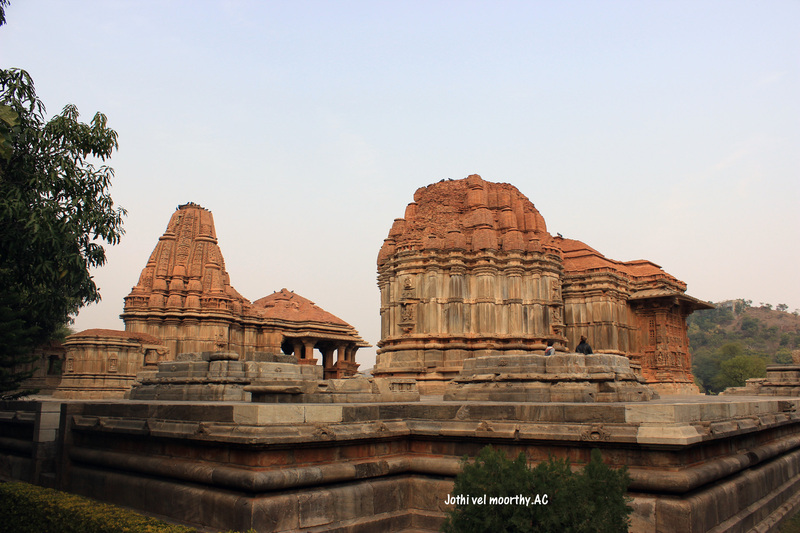 Sasbahu temples – which are now in partial ruins but one can still marvel at their original splendor, the artisanry and the perfect geometry that must have been the hallmark of that era! 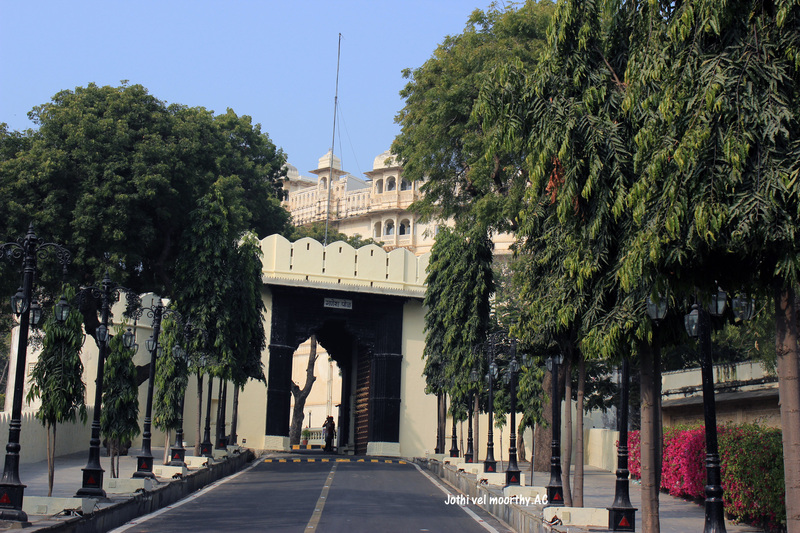 Sukhadia Circle Commemorates The Memory Of Udaipur Mohan Lal Sukhadia, One-Time Chief Minister Of Rajasthan And A Native Of Udaipur. 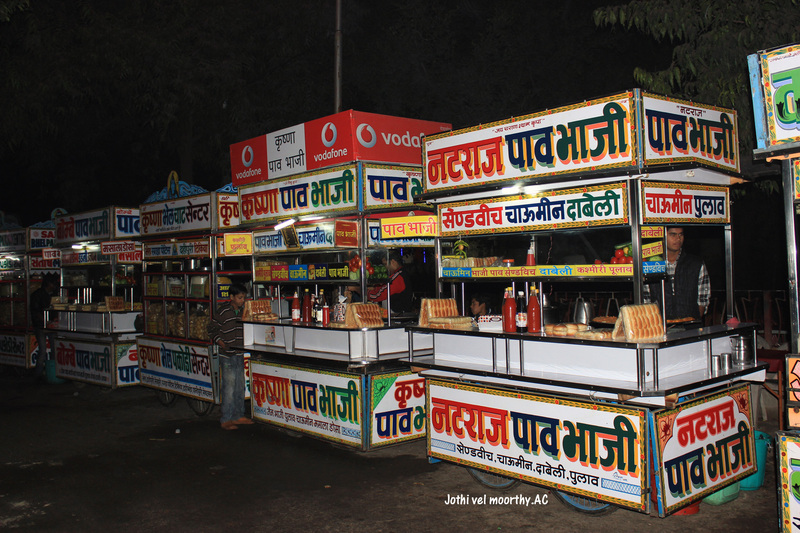 During the evenings, there were lots of food stalls which Surrounds Sukhadia Circle. 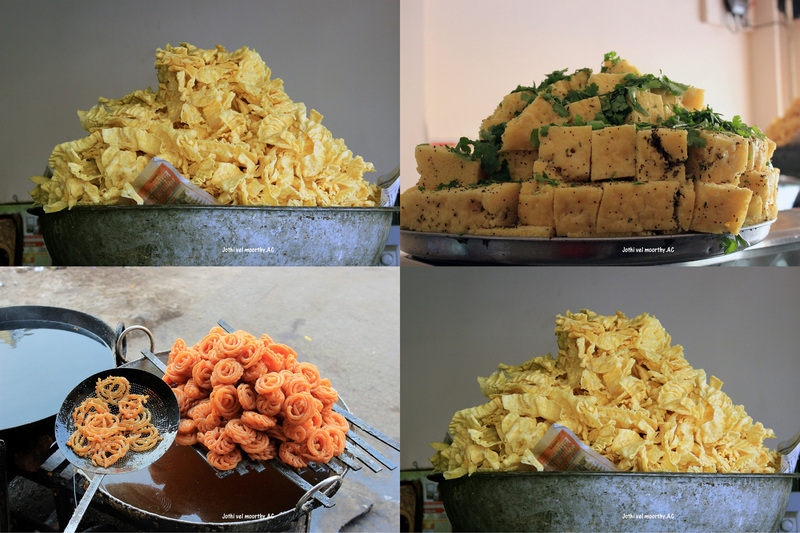 The Delicious chat items tempts everyone to keep visiting this place again and again. 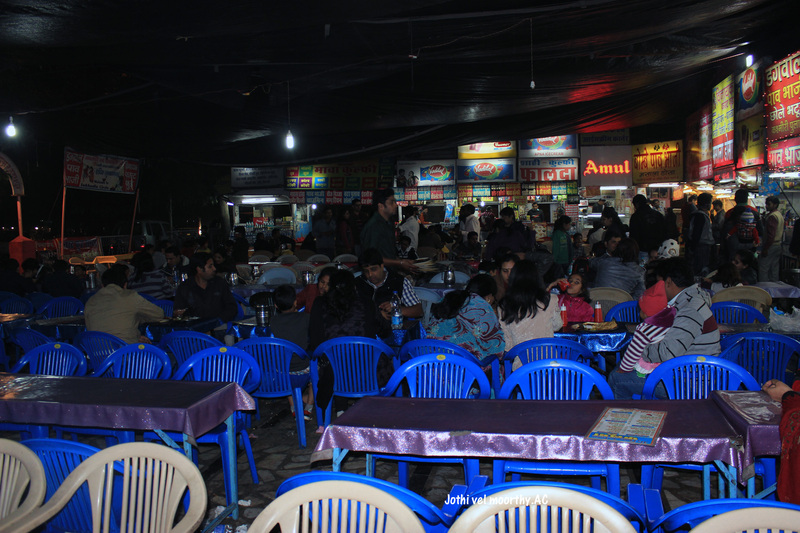 We too experienced few chat items there and crashed in our rooms as we have to travel a lots tomorrow. 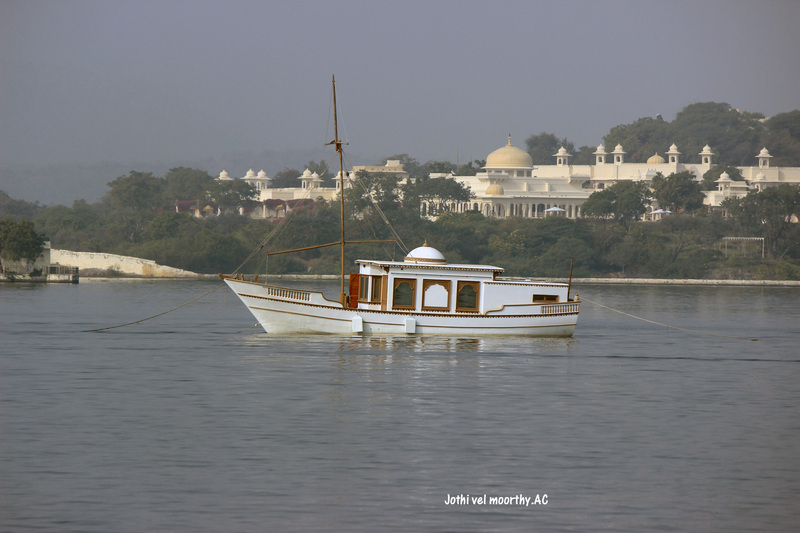 Though there were lots of places to be visited in Udaipur, time factor drew us out. 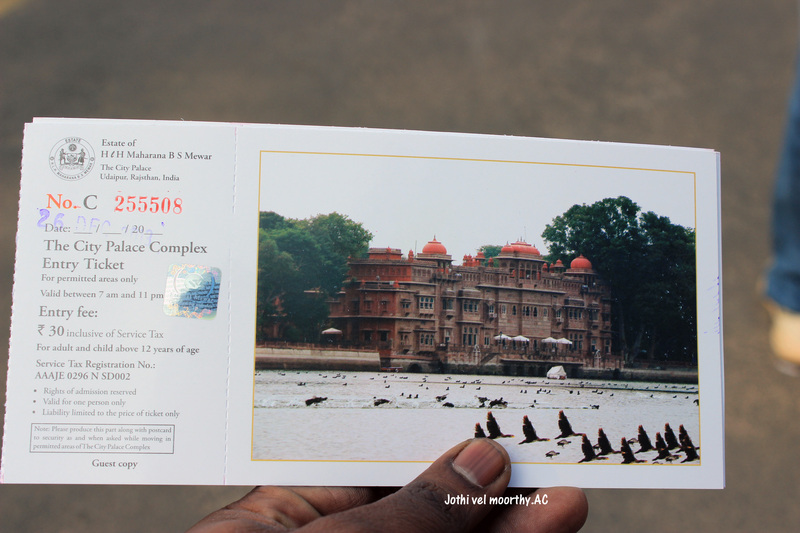 Dec 27: Checked out from hotel Sakthi palace in the morning and headed towards zainabad for the mission of this trip. 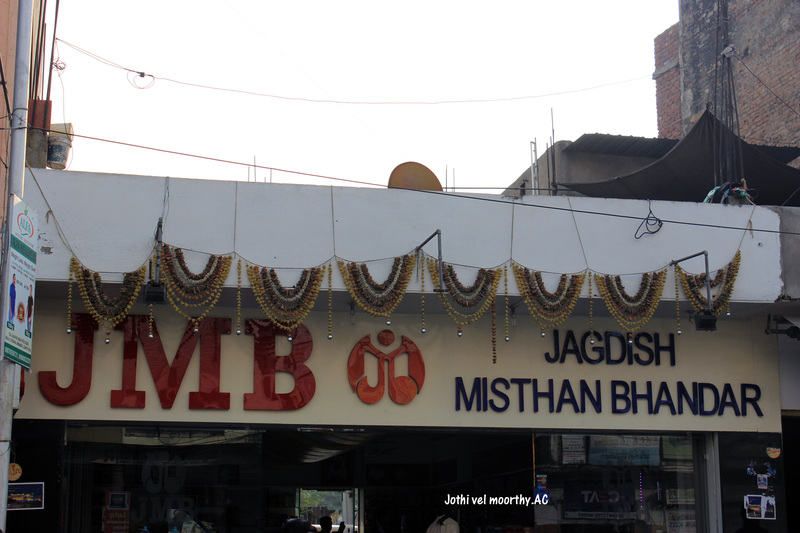 Had a native breakfast at Jagdish Misthan Bhandar. Not sure about the names of the items. We just had few randomly asking them by pointing fingers. Reached Patan and finished lunch. This time it’s Gujjars thali. 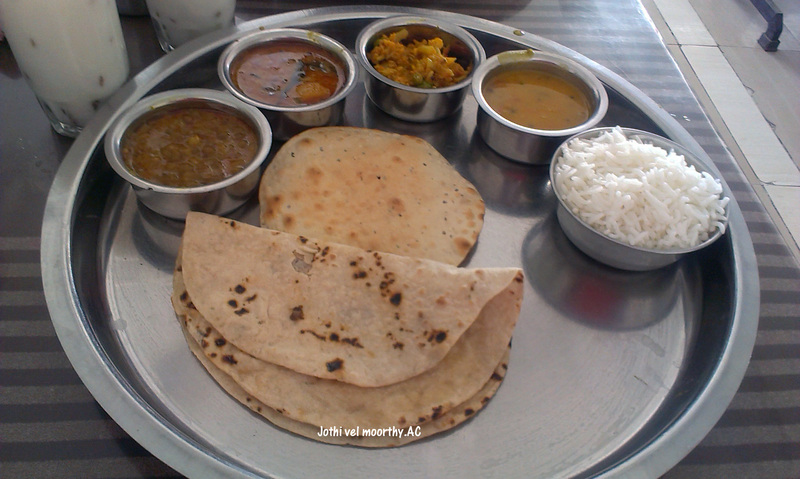 Not quite rich and tasty as Mewar’s thali. Could experience lots of difference between the two states. 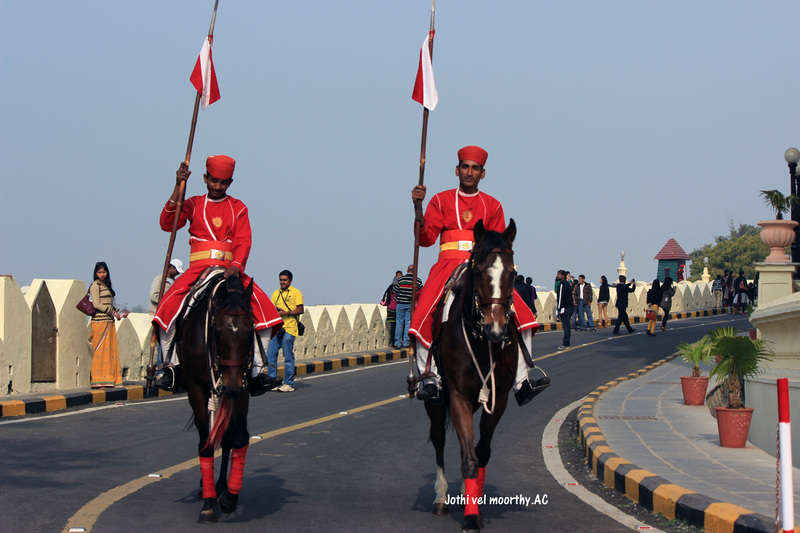 Rajasthan had wide roads and the traffic were controlled properly. Here signals are there for name sake. No one cares.. People are finding their own ways to cross the junctions.. made me feel that Modi’s statements about Gujarat state was only on Papers and nowhere to reality. 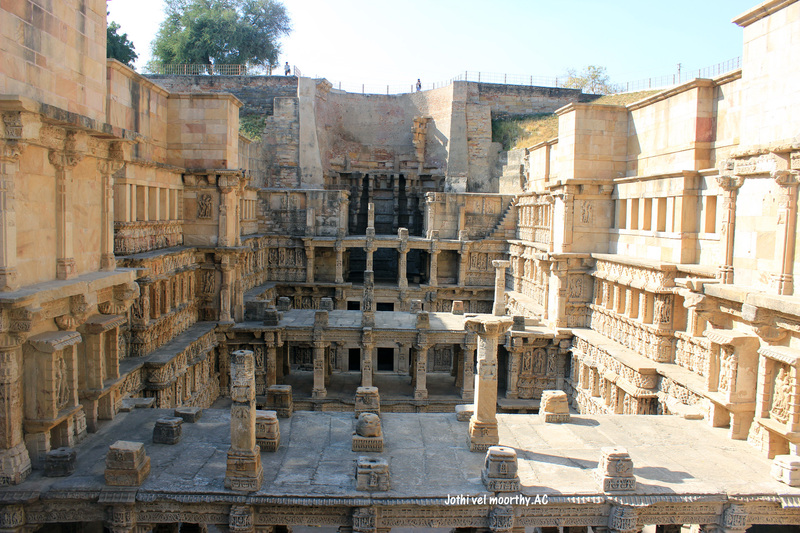 Rani ki vav is an ASI monument step well located in Patan. 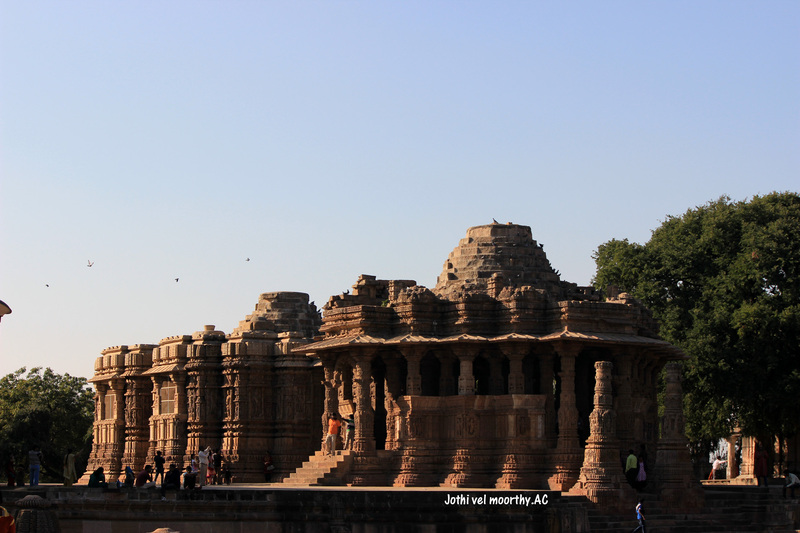 The Sun Temple, Modhera, is a temple dedicated to the Hindu Sun-God, Surya. 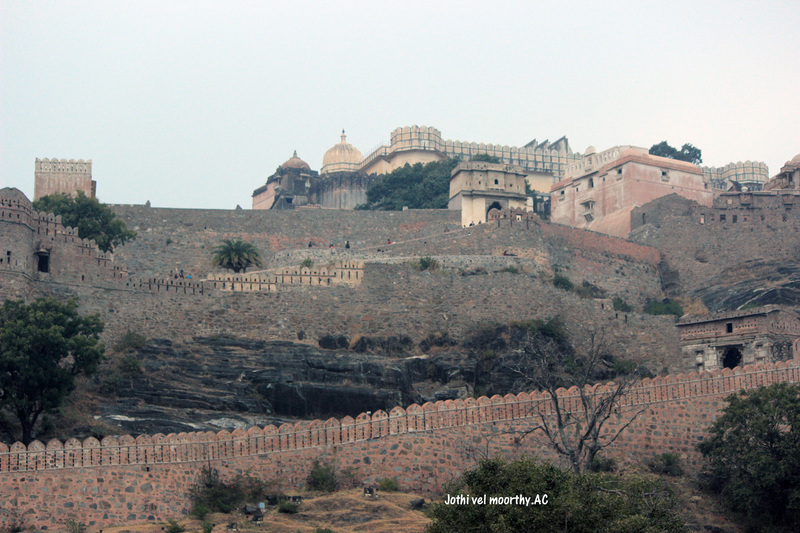 It was built in 1026 AD by King Bhimdev of the Solanki dynasty. 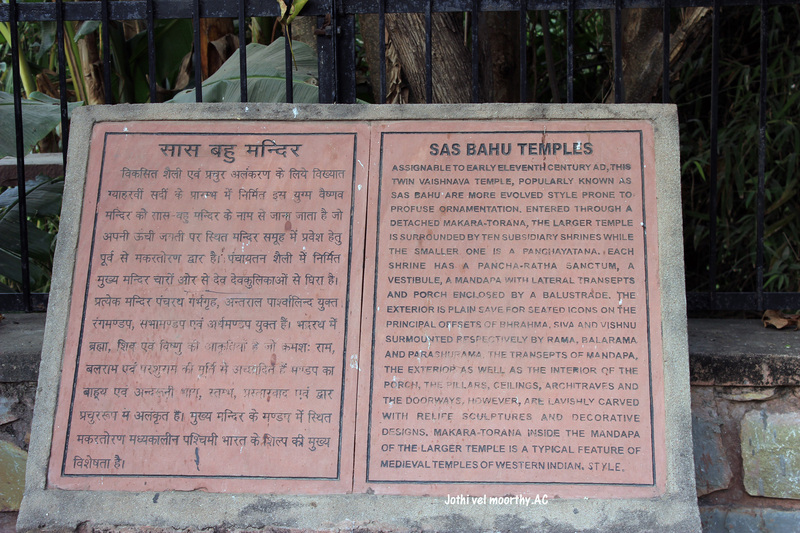 This temple depicts the essence of ancient times. The sculptures and architecture present in this temple are still magnificent after all these years. In the present times, prayers are not offered in this temple. 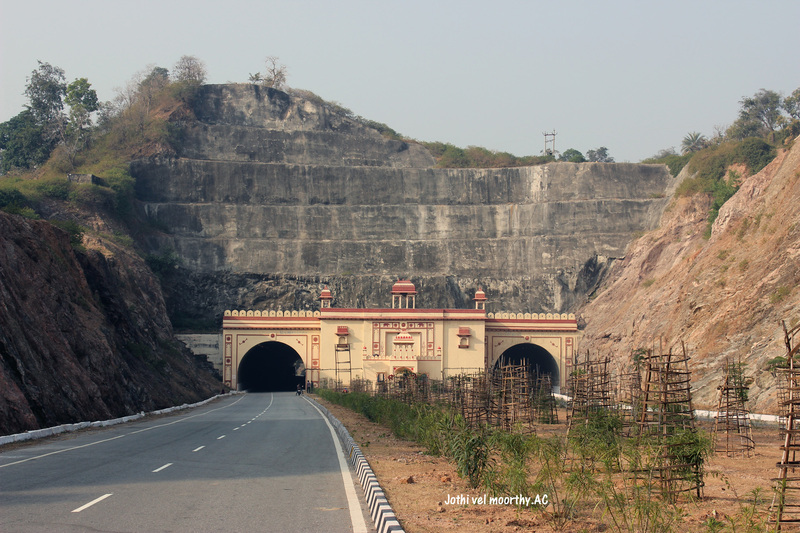 This temple is now under the supervision of Archaeological Survey of India. Its almost sunset and we are in an urge to reach the basecamp before it gets dark. By this time we started receiving updates about the last fuel station and ATM and instructed to reach the basecamp with full tank of fuel as we will be entire desert drive the day next. Also not sure about the mobile connectivity.. 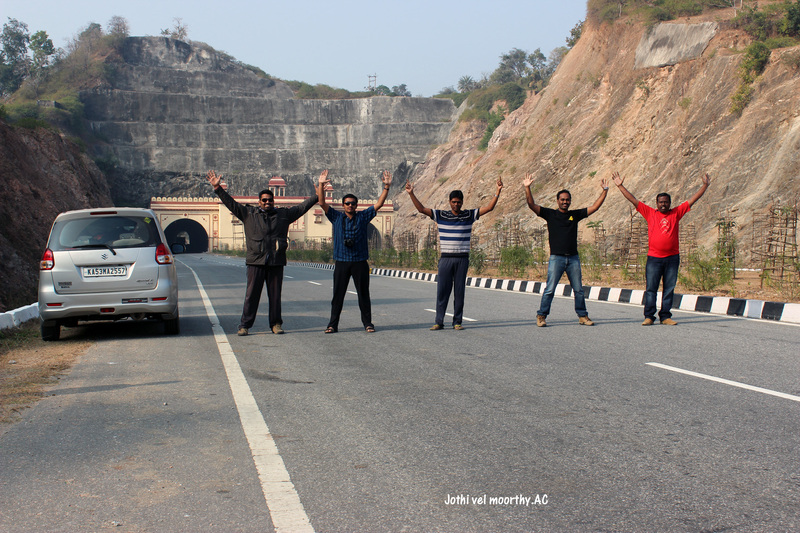 Updated my facebook wall.. and now towards zainabad we crossed the Tropic of cancer for the second time during this trip! Super. 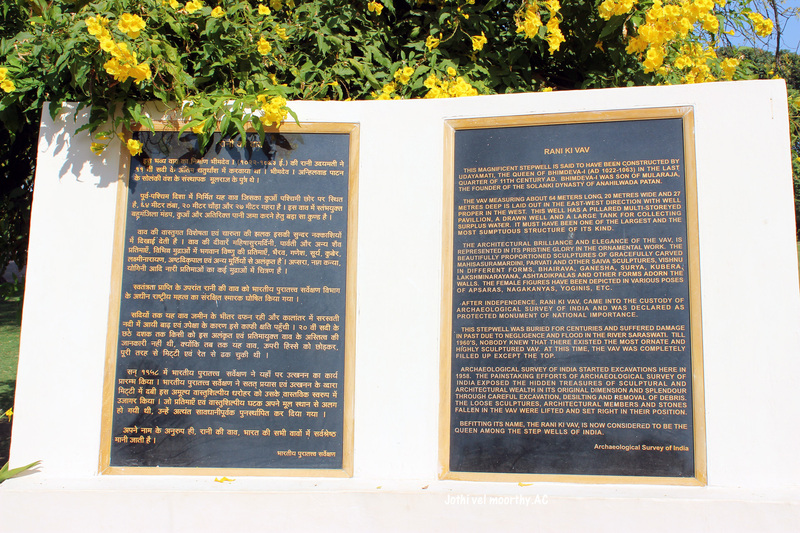 Look forward to the actual bit that intrigued you – the Rann of Kutchh.